Hi elaine…. sorry I didn’t make yoga last week but I was a little busy! 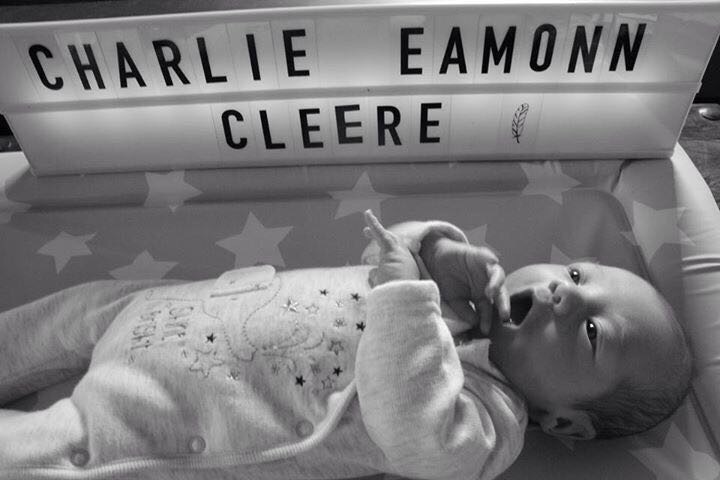 Our wee boy Charlie was born last Monday morning. 7.8lbs of perfection! We are totally in love and getting used to life as new parents. I was delighted that we got to have our natural birth that I hoped for. It was a surreal, beautiful, tough and humbling experience. I started getting surges at about 1am. To be honest I thought it was trapped wind at the start!!! Surges started off 5-7 mins so it got going quickly! I put on my feel good playlist and danced/ sang through the surges. The tens machine helped take the edge off. I also used yoga ball. I used my bubbles to help me to focus on breathing. I left for hospital when I couldn’t take anymore. I was fully dialated when we arrived and ready to push. I was delighted. However it still took 2 hours of pushing until he came out. We are both doing well and feeding is getting easier. From my experience I would tell anyone if possible stay at home as long as you can. For me in my head labour started when I got to the hospital. Although of course it started hours before that being at home made it more comfortable. I was in control and as someone who has anxiety I was not as worried as I think i would have been if I was labouring in hospital for 5/6 hours. I probably stayed at home a little bit too long but all was well….the other tip again from my own experience is going through your birth plan with your partner. I knew my husband would be great anyway but it was A great help talking through some distraction techniques with him before hand. He handed me the bubbles when I felt a surge coming on..he even called them surges at my request instead of contractions! When a surge passed he reminded me that that was one I would never have to meet again and that each surge brings us closer to meeting baby. (Again done thing j had told him to say!) He sang with me and he knew how the tens machine worked better than me. He did lots of other things that helped but he himself says it was useful to talk through the birth before hand. That’s it I think. Also for any first time mamas in class going to Kilkenny…I cant speak highly enough of the staff there. They were amazing…especially when I had difficulty breastfeeding. The nurses and midwives are just so kind and so attentive. There was lots of stuff about kilkenny on social media before hand but in my experience I felt that both me and Charlie were so cared for. Well that’s definitely it!!! Thanks elaine.